Despite my mostly psychodynamic approach to psychotherapy, I sometimes include cognitive interventions as well. I think of this as choosing from a variety of tools to suit the moment. Generally speaking, cognitive techniques (and psychiatric medications) aim for symptom relief, while psychodynamic work aims for structural personality change, with symptom improvement as a byproduct. There’s a time and place for each, their relative value varying from patient to patient. The following is a cognitive framework I’ve introduced to a number of patients over the years. Let me know if it’s useful to you. Essentially it’s a simple one to ten scale that highlights polarized thinking — “splitting” in dynamic lingo — and encourages modifying it through conscious effort. Many patients who evidence polarized, black-and-white thinking — who devalue the bad and idealize the good — quickly catch on when I propose that their abject hopelessness and seething rage represent a “one” on a one to ten scale, whereas their over-the-top exuberance rates a “ten.” (Some take it further and claim their despair sinks to “negative 100” and positivity zooms up to “50” on that scale, but usually they’ll agree to keep it manageable.) The key intervention is then to point out that life is mostly lived between three and seven. Realistically speaking, bad experiences in life usually rate a “three” or “four,” good experiences a “six” or “seven.” Anything more extreme is rare. Feelings of “one” and “ten” are almost always exaggerations, polarized distortions that whipsaw the patient’s feelings and interpersonal relationships. The concreteness of speaking in numbers comes easily to most of us. Once introduced to this scale, some patients spontaneously and enthusiastically rate their own feelings: a troubling encounter “felt like a ‘one’ but I know it was really a ‘three’.” More often they relate an experience in unrealistically glowing terms, and I gently challenge their idealization by asking if it was truly a “ten” or more accurately a solid “seven” (and likewise with a “one” that upon reflection could be re-rated a “three.”) Some patients formerly prone to one-or-ten thinking soon begin sessions by telling me their day feels like a satisfying “six” or a disappointing “four”. Either way, I support this more nuanced assessment and discuss how they may nudge themselves up the scale. Of course, it wouldn’t be psychodynamic therapy if we stopped there. 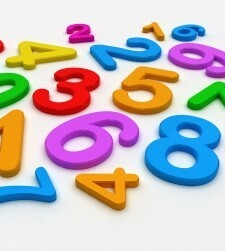 The numerical scale offers a useful language to describe unrealistic emotional extremes, and perhaps to help the patient mitigate them through conscious effort. However, it can’t account for the splitting itself, nor change the patient’s propensity in any structural way. For that, we turn to unconscious dynamics, and to a trustworthy, consistent therapeutic relationship that permits emotional nuance to gain a foothold. Rather than being seen as mutually exclusive — itself an unhealthy polarization — cognitive and psychodynamic approaches can complement one another. Interesting. So I liked this post (6), not as much as I might like some other posts (8-9…oh wait, I’m liking those posts too much…got to cap it off at 7). Call me naive after 20 some odd years of practicing, but I don’t see that psychodynamic therapy alters personality structure > that’s a really tall order. I believe the relationship provides a venue for something helpful…perhaps a place to feel safe and undo patterns that assume a hostile world, perhaps a place to look at patterns and catch/rethink/respond otherwise to certain stimuli…oh, perhaps we could call that personality change? How does my comment make you feel on a scale of 1 to 10? Oh, 3 or 4 I guess. On the one hand I’m glad you stopped by and commented. On the other…well, two things. Surely you realize this little cognitive exercise is aimed to help those who routinely are blind to the middle range of affect. There’s no need for most of us to “rate” our feelings, or for anyone to do it all the time. It’s a serious problem, though, when a person lives a tortured life see-sawing between unrealistic highs and devastating lows. I’ve found this helps some of them. As for the “tall order” of altering personality structure, that’s the explicit aim of traditional psychoanalysis. Psychodynamic therapy is a less formal and less intensive variant. Depending on the patient — ideally not on the therapist — it lies on a continuum from very non-directive, transference enhancing, and interpretive at one extreme, to supportive, safe, interactive, and bolstering on the other. Structural change is hard to measure, but some studies suggest that such change not only occurs, but is related to how “analytic” the therapy is. I can only conclude you’re either overly modest about the impact of your therapy — or you’ve been doing it wrong. Hmm, I think I feel about 5 now… No, seriously Dinah, whether your dynamic therapy follows the ego-psychology style of making the unconscious conscious, or reflects the relational ideas of self-psychology or object-relations, you’re not doing it justice to use terms like “undo patterns” and “response to stimuli.” These are cognitive/behavioral concepts, not psychodynamic. Wait, so you were a 3 or a 4, but then when you decided that I might be doing therapy wrong, you rose to a 5? I’ve sunk to a 2. Mostly, my patients get better, so whatever it is, I’ll take it. I still think parsing out how much of what a therapist does falls into what type of therapy can be difficult. If you were to ask me, I’d say that medications are often helpful, and the relationship can be very healing. I won’t rate it. I’ve spent too much time in therapy (said wryly, because, it means I had so much to work on and it took so much time and energy to do so, but… like most difficult things accomplished in life, oh so very worth it). I’d say, from my patient side of the equation, that if my personality itself has not changed, my outlooks and perspectives have changed so very much as to have significantly changed my life for the better. I now have control of my demons rather than vice versa. Or something like that. Your post struck me as, during the course of therapy, there were a few of those “Ah-HA!” (8 or 9) moments where nuggets of ideas would get planted that would at first piss me off, probably because they were so true and so difficult to face… but would then, as I allowed them to take residence in my mind and to accept them, became life changing. One of these was similar to your numerical rating system. My therapist, however, called it “turning the volume down”. It took a lot of getting used to and at first everything seemed dulled with it… but, over time, I realized how much more even keeled it made my life. There are indeed times when blasting the music full volume is just the perfect thing to do. But… not so frequently. One of the things I said to my therapist (also a psychiatrist who does therapy… old school… ha!) was that life sounds so much sweeter played at a lower volume. Have you ever thought about your scale as far as American culture? With a few exceptions and that includes personal tragedies, most Americans, but particularity urban-dwellers, seem to live in 5 world within which their own personal 1 to 10’s fall. For example, I once asked a friend how “Schindler’s List” was. She replied that it was a good movie to watch if you thought your life was bad. @Lisa, “turning the volume down” sounds similar to “living between 3 and 7.” I like my version because it captures both extremes. I guess you could say life sounds so much sweeter when it isn’t so loud that your ear are blasted, nor so quiet that you can’t hear it at all. @RB, I hadn’t thought of it that way. I agree there’s an analogy in putting our own experiences into a larger perspective. As in the popular term “first-world problem,” e.g., complaining about a glitch in your smartphone reception when people are starving to death in other parts of the world. “Schindler’s List” reminds us that our everyday “disasters” or “catastrophes” rarely deserve those terms, i.e., that they are more like “3” than “1”.